Train smart, Rest well, Work hard! I will introduce you to science based, personally adjusted training plans with daily guidance as your coach. What makes a plan a good plan? The combination of looking at your personal situation, experience in sports, physical and mental state along with a logical training build up. That's the key to a successful plan! Daily adjustment to changes in these circumstances make the plan 100% fit for your road to success. Enjoy the road! My name is Dagmar Kagie, Triathlete, Exercise Physiologist and sport fanatic. I am based in Eindhoven, The Netherlands and coach athletes in and outside The Netherlands. Both local coaching and remote coaching is available. At this moment I coach athletes in The Netherlands, Belgium, Germany, Ivory Coast and The United Kingdom. I studied Human Movement Science, followed by a masters in Exercise Physiology. 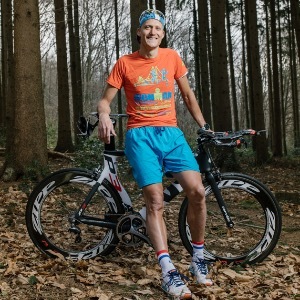 I am a triathlete myself with a history in Football and Cycling. My focus is on olympic and middle distance. Let's go on a nice journey together! Success. Coach Dagmar Kagie has been notified of your message.